ATEX and IECEx Group I certified. General purpose, top-entry velocity transducer with DC output. 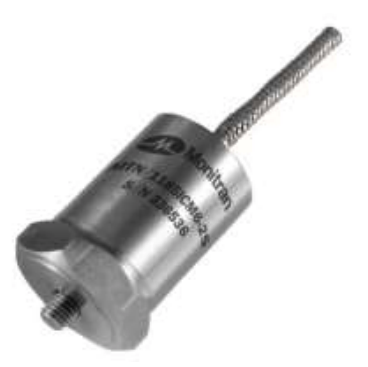 Made from robust stainless steel throughout for continuous vibration monitoring in harsh industrial environments. Sealed to IP67 with industry standard two-wire 4-20mA output proportional to sensor range that can connect directly to PLC, DCS and other industrial controllers. Includes integral stainless overbraided ETFE cable and is available with a wide range of mountings.